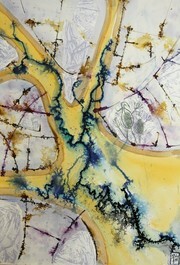 Confluence, like the meeting of rivers, expresses the coming together of my passion for both printmaking and painting. The flow of paint and ink are brought together using both Japanese and western materials and techniques. The light and inspiration for my art comes from nature and the people that surround me. 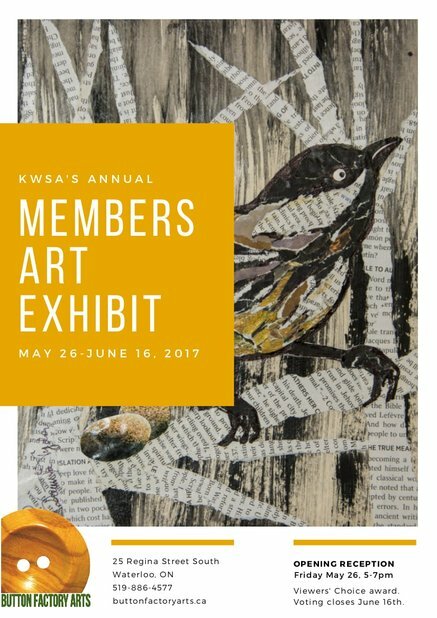 KWSA members are proud to present the exhibit, "New to Me" at Kitchener City Hall from March 1 to 31st, 2016. "New to Me" is all about artists stretching their boundaries and reaching for new expressions in their art practice whether it be new media, new genre, or new in any other way. Creative expression at its best!